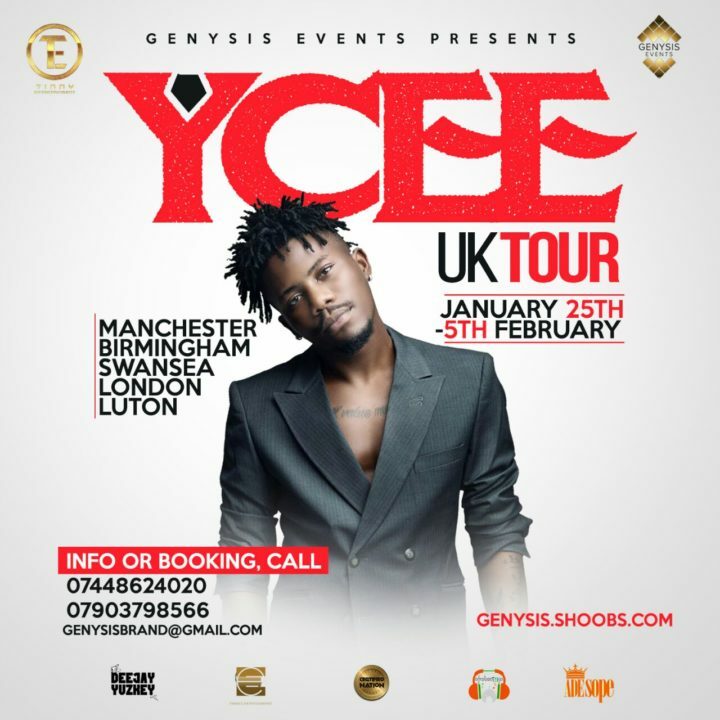 Tinny Entertainment’s foremost act YCEE heads to UK this month for his first international tour. The five-city tour organized by Genysis Events, will see the artiste visit cities like London, Manchester, Birmingham, Swansea and Luton. With his new single – Link Up featuring Reekado Banks enjoying massive airplay on radio, the artiste will release his first body of work First Wave in the first quarter of the year.